With 2008 coming to a close shortly, I thought I'd take one last look at the last year. I know this has been my most productive reading year ever, having reached my 100 book goal (squeezing that last book in at the last moment!) and I started my blog this year which has really helped me keep better track of what I've read, as well as helped me connect with other readers and authors. I can only hope that 2009 is as good a reading year for me as 2008 was. In closing, I thought I'd take one last look at some of the books that really shined for me this year. I think I read a varied group of books over the last year, and there were quite a few that have really stuck with me. There were a few duds, but that's to be expected, but overall, I am really happy with the books that I've read over the year. I received The Wednesday Sisters as an ARC from LT and it is a fantastic book about the power of friendship and what those friends can mean to you to help you overcome just about anything. I really loved this book, and getting the opportunity to meet Meg was an absolute treat for me. 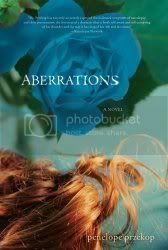 Another review copy, Aberrations really took me by surprise. It was so well written, I think I read it in one sitting. A unique coming of age story about accepting yourself and whatever limitations you perceive about yourself and embracing it all to become the person you are instead of the person other people think you should be. This was an ARC from LT, too (see a theme with the ARCs?). 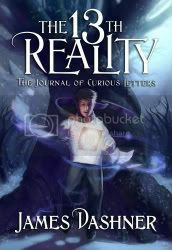 A new YA series by new and up-and-coming author James Dashner, The 13th Reality follows the adventures of Atticus Higginbottom (or Tick) and his friends as they try to save reality from being destroyed. The thing that struck me most about this book is that Tick's family is very supportive of him and is involved directly in his life and he's comfortable with that. In so many cases, these YA novels seem to push the idea that adults aren't going to help with the problems at hand for the protagonist and they feel they have to go it alone, while Dashner makes a point of showing that it is not always a bad thing to have your family involved in your life. 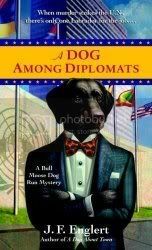 I discovered this series through LT's Early Reviewer program, and when I discovered they are about a black lab who solves murders, I had to have them, and I wasn't disappointed in the slightest. Englert has an amazing grasp on the human condition, and these books are so much more than murder mysteries; he touches on so many levels in his books that I think it is hard to pinpoint Englert to one particular genre. And on top of the excellent writing, the books are funny as well! Mr. Englert was also gracious enough to participate in an interview with me as well. Believe it or not, this one had nothing to do with an early reviewer program! I had heard so many good things about this book, I just had to pick it up, and I'm not sorry that I did. 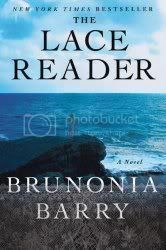 What was even better, the weekend after I picked it up I spent in Salem, MA, where the story takes place, and I met Brunonia Barry at the House of the Seven Gables completely by chance! On my plane ride home, I read through the entire book, and I'm so glad that I had that time set aside for it. I would not have been able to put it down otherwise. A week later, Brunonia Barry spoke at a local bookstore, so I had the opportunity to meet her again and hear her speak about her book. This was just a plain fun book. 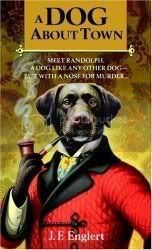 Our protagonists, Edward Moon and the Somnambulist, must solve a murder mystery in a London that isn't quite ours, populated by people that are just on the verge of believability, yet Barnes makes it all seem completely plausible. I can't wait for his next book, The Domino Men. Part love story, part circus history, I couldn't put this down. Gruen wrote this so well, I wonder if she didn't have some experience living on the road with a circus in the early 20th century. As I become more acquainted with Neil Gaiman's writing, the more impressed I am by him. 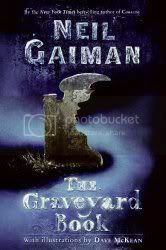 The Graveyard Book is a coming of age story, but like anything Gaiman writes, it's not conventional in the slightest. I mean, what's conventional about a boy raised by centuries-old ghosts in a cemetery? How is that believable? Read this book and Gaiman will make you believe that it can happen. There were so many other good books this year, but these few really stand out in my mind as needing another mention before the end of the year.